Our travel group opted for a later morning departure with a light breakfast on the bus. Tomorrow would be the last day of my Mississippi Delta tour. But for now there was still a lot more to see… We arrived in Indianola just before noon and ready for lunch. I read a lot of reviews about The Crown Restaurant in Indianola, so I was eager to see if this charming little spot lived up to its reputation. Right from my very first bite of the Bayou Beer Bread, I was hooked. A fascinating flavor with a delectable crunch of roasted onion and garlic! For lunch I ordered the Chicken Allison, a browned chicken breast served with butter and green onion sauce over a delectable bed of light rice. It was fabulous! Our group sat at two different tables. At my table the other writers chose the Catfish Allison, The Crown’s Royal Sandwich and the Creole Catfish Cakes. There was a little more silence than usual, as everyone took in all the flavorful sensations. Of course a home cooked meal is never complete without dessert. And The Crown Restaurant does it right – allowing for a taste of all their delectable desserts in a quaint buffet style setting where you can try small samples of each. Wow, what to choose? There was Peach Pavlova, Southern Praline Pie, English Sherry Trifle and Chocolate Fudge Pie just to name a few. I opted for a taste of the strawberry cake and fudge pie – along with a tasty cup of coffee, the whole experience was just sensational. Give yourself a little extra time before or after your meal, because there’s more to The Crown Restaurant than just an amazing place to eat. The store front has an Art Gallery chock-full of Delta art, and a bookstore with titles about the blues and the Delta. The Taste of Gourmet food products are available for purchase in the adjoining retail store. It includes some of the restaurant’s favorite selections and bread mixes. Their products are also available through their web site on the link above. The Crown Restaurant is down to earth, relaxing and very friendly. The staff makes you feel right at home; always available with any questions you may have. Make sure you’re hungry, because you’re going to experience real Southern hospitality and some homemade goodness that is simply hard to beat. Afterwards take a walk and catch some of the MS Trail Blues Markers along the way to the B.B. King Museum – Click on the links below for further information. Riley B King – This is the marker B.B. King unveiled in June 2003 at the corner of Second Street and Court Avenue. It would be the prototype marker which eventually would become the Mississippi Blues Trail. This is the place where B.B. played for tips as a young man. Before leaving on my trip to the Mississippi Delta, I remember being so thrilled when I looked at the itinerary and saw I would be spending some time at The B.B. King Museum and Delta Interpretive Center. When I got there, I never realized how much of an emotional impression it would make on me. The facility is truly a sight to behold. You really feel the full scope of B.B. King’s life and his tremendous influence as you tour the museum. Through B.B.’s experiences, the exhibits tell the history of the Delta and includes stories of cotton plantations, race relations, sharecropping, music, art, literature, and folklore. Each exhibit progresses through B.B.’s childhood up to present day. There are several interactive music displays in addition to many video clips of performances and stories from the Delta. 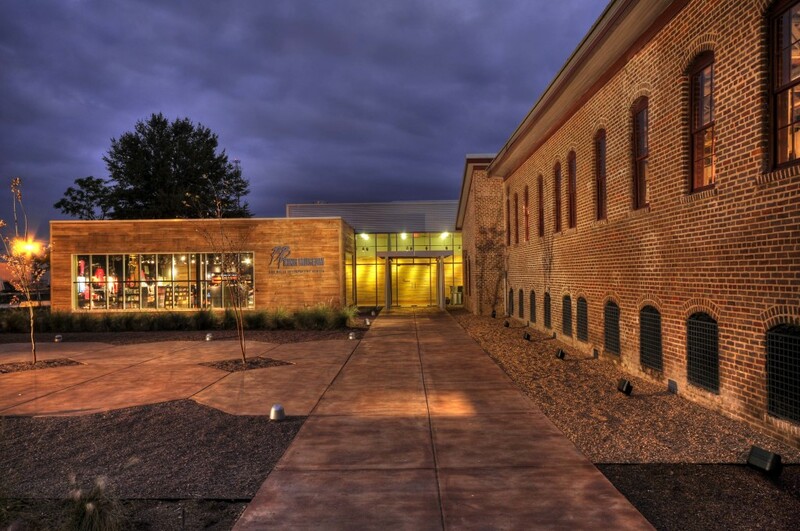 The museum is partly located in a historic brick cotton gin where King used to work. What a beautiful job they did re-storing it! Even if you weren’t familiar with B.B. King, you’ll discover a new profound respect for the person he was. This museum is a MUST SEE whether you’re interested in music or Southern history. At the time I was there, the news regarding B.B’s health was still up in the air; which more than likely magnified the experience for me. Reflecting back, I feel fortunate I was able to visit the wonderful town of Indianola and experience for myself this incredible facility. While B.B. King will be missed, we can take joy in knowing his life’s work will be heard, seen and honored throughout the world… And presented in spectacular fashion at his museum in B.B.’s hometown of Indianola. Come back soon, as our last stop in my MS Delta series takes us to Greenwood, Mississippi – where we tour Baptist Town, The Winery at Williams Landing and the main set of the Academy Award winning movie The Help. 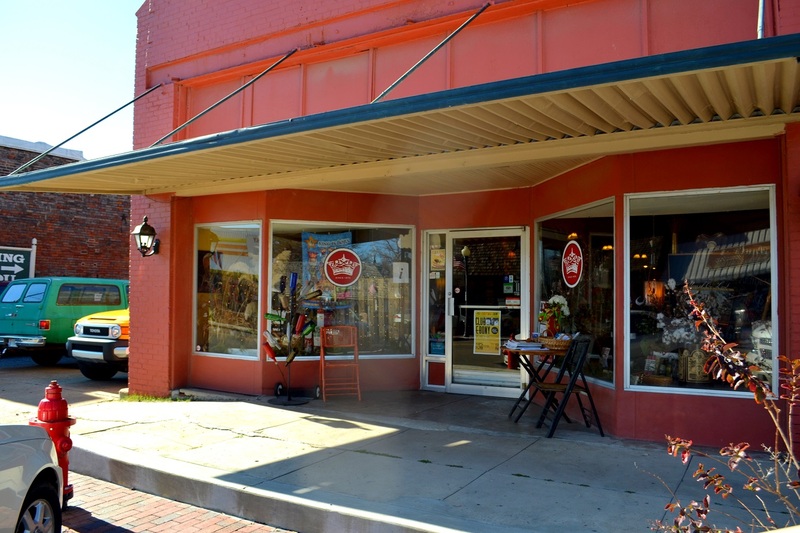 Have you been to Indianola, Mississippi? Did you stop by The Crown Restaurant and the B.B. King Museum and Delta Interpretive Center? Please share your thoughts in the comments section below.